L. 1. 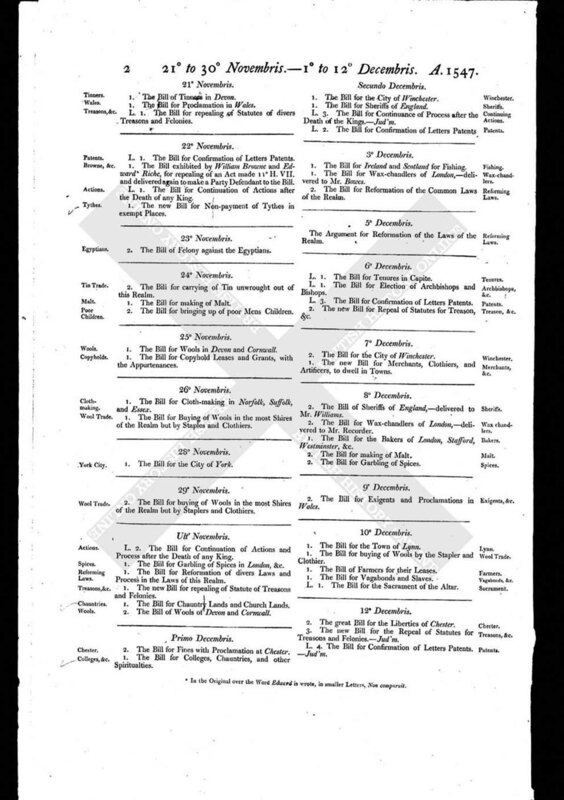 The Bill for Confirmation of Letters Patents. 1. The Bill exhibited by William Browne and Edward [a] Riche, for repealing of an Act made 11o H. VII. and delivered again to make a Party Defendant to the Bill. 1. The new Bill for Non-payment of Tythes in exempt Places.